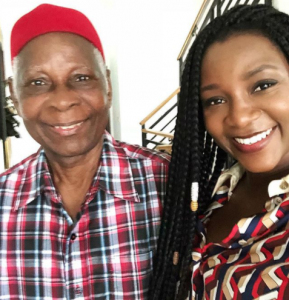 GENEVIEVE Nnaji’s rise to the top in the Nigerian movie industry is a tribute to her parent’s unwavering faith in God when all seemed lost. 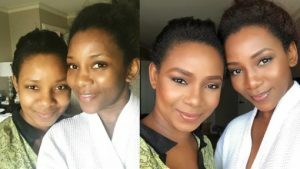 When 8yrs old Genevieve Nnaji debuted in “Ripples,” a prominent soap opera that gripped the nation in the 80’s, everyone was sure that she was destined for fame. The fourth of eight children, she was the rising star in the family and her parents, Theophilus and Benedatte Nnaji, spared no expenses in her education, to fulfill her dreams. But tragedy struck, unexpectedly. At 17, she came home from school pregnant. Shattered, a future so bright and beautiful, and at a time when her career was about to take off like a rocket, all in seemed lost. To save her career, it would have been so easy to succumb to pressures and abort the unborn child. Few parents can ignore the danger of being ridiculed and yet, despite their dismay and sadness, despite their fear of the unknown, of possible failure, they paid no court to public opinion, and insisted that she must give birth to the child. “My dad was like; it’s a child for Christ’s sake.” Genevieve who is now 40, said, “God knows why he wants to bring that child into life”. Thanks to their unwavering obedience to the teaching of the Catholic faith, and a well formed conscience, her parents rallied and protected her and the child. And as soon as she had the child, her mother cared for the child, allowing her to return to her studies and work. Today, that child, Theodora Chimebuka Nnaji, is 25, a startling beauty, married with her own family, spitting image of Genevieve, a companion, confidant and constant source of joy to her and more so as the years go by. “I am so happy I did not abort my daughter,” she said, eyes shining with gratitude. 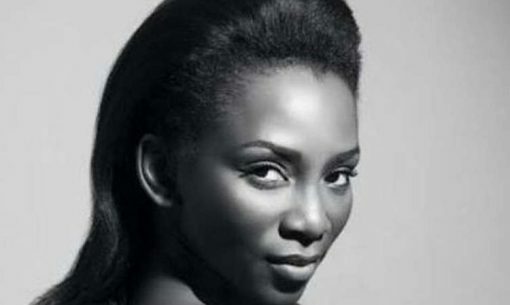 In 2005, she won the Africa Movie Academy Award for Best Actress in a Leading Role (the first actress to win the award). 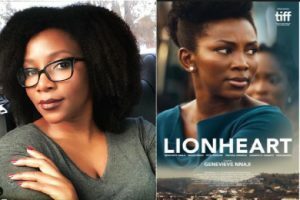 On September 7, 2018 her directorial debut, “Lion heart” was acquired by online streaming service, Netflix marking it the first Netflix original film from Nigeria. The Movie had its world premiere at the 2018 Toronto International Film Festival and has since been making waves the world over. Lion Heart has been dubbed Nollywood “reinvented” because it differs from other Nollywood movies, replacing poor screen play and scripting with positively enjoyable high quality cinematography, and gripping story line. Lion Heart tells the story of Adaeze (played by Genevieve,) an executive in her father’s bus company was forced to a second position when her sick father chose an uncle over her to run the company. 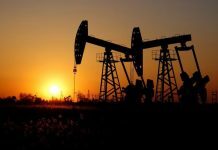 But discovery of bankruptcy, a hostile takeover forced her to abandon her recrimination and work with her Uncle to save the company. Particularly delightful was the stable traditional family values on offer throughout the movie as opposed to rampant divorce, rancor and infidelity in other movies. Abigail, Adeaze’s mom was like a brilliant moon on a dark night, and her presence filled the house with light and warmth. The effortless transition from high quality Ibo to flawless English without fake phonetics was as mesmerizing as the titillating aerial shots that brought out Enugu’s beauty in ways not seen before even by long residents of the coal city. Netflix acquiring the movie sends a powerful message of hope to other Nollywood directors, that with the right efforts and doing things properly, there is nothing stopping them from competing with the best in the world .